Puerto Vallarta is one of Mexico's top vacation destinations. The beautiful beaches, excellent nightlife, and great shopping makes this town and surrounding region a magnetic draw for tourists. 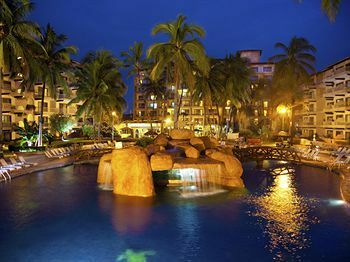 Smack in the middle of this area is the fabulous Villa del Palmar Puerto Vallarta resort and spa. With its charming architecture, wonderfully designed and furnished guest suites, and fantastic on-site amenities, the resort can't be beat for providing the perfect timeshare accommodations for families and couples. Located right on Banderas Bay, Villa del Palmar Puerto Vallarta is just a stone's throw away from swimming, fishing, boating tours, and scuba diving. After a relaxing day at the beach or shopping in the town, guests treat themselves to unrivalled pampering at the on-site spa and health center. Some of the region's best dining opportunities await in Puerto Vallarta, and several of these outstanding establishments are located on the resort property. Couples will feel as though they are in the lap of luxury when they buy one of these Mexico timeshare resales at Villa del Palmar Puerto Vallarta. These units feature a huge master bedroom with walk-in bath and shower facility. The bedroom is furnished with a king bed, the kitchenette is next to the breakfast bar, and the living room has a large-screen TV with premium cable channel access. 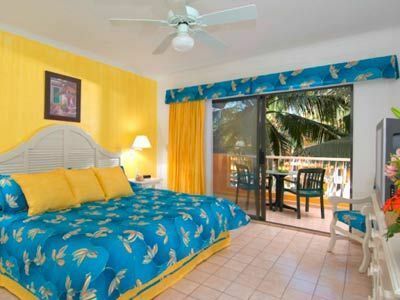 The larger one-bedroom timeshare suites have a king bed in the master bedroom plus a sofa sleeper in the living area. These units have a large outdoor terrace or balcony. 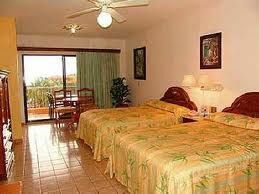 The two-bedroom suites have a master bedroom with king bed and a second bedroom with two queen or double beds. These units are perfect for families with both older and younger children. All suites are air conditioned and contain a minibar. Housekeeping services are available seven days a week. The on-site health center and spa is the place to unwind after a busy day at the beach or in the town. The El Patron, La Trattoria, and Jalisco Sports Bar offer up distinctly Mexican cuisine as well as European and American favorites. There's a huge outdoor pool, exercise room, whirlpools and hot tubs, and on-site clubhouse. Fun at the beach is the reason most visitors flock to the Villa del Palmar Puerto Vallarta resort. Boating and fishing tours are two of the most popular activities, and there are plenty of scuba diving instruction outfits in the town. Shopping at the beachfront arcades along Banderas Bay can become a full day's adventure. These Mexico timeshare resales mean guaranteed reservation dates and all the perks that come with membership, including access to all resort amenities and preferred treatment from the wonderful resort staff. Contact Villa del Palmar Puerto Vallarta Spa Resorts Specialist Today! work there actually care, and provide extra care, if need be. This resort is very spacious and the pool area is even better. People here a very nice, and not just because they work there. The best part about their reports, is the places to go around there; bars, shopping malls, and of course the beach! I have recommended this resort to my friends and family, and they even gave me wine and cake for my birthday!